It’s been over five years since the collapse of iconic Wall Street firms such as Bear Stearns and Lehman Brothers; the insolvency and bailout of AIG and Citigroup; the receivership of Fannie Mae and Freddie Mac; the shotgun marriage of Bank of America and Merrill Lynch. 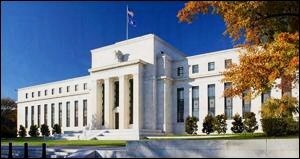 After a 5-year delay, the Federal Reserve has released the full transcripts of its meetings in 2007 and 2008 – the two key years of the crisis. But for unexplained reasons, the Fed Chairman, Ben Bernanke continues to redact 84 meetings from his appointment calendar that occurred between January 1, 2007 and the pivotal collapse of Bear Stearns on the weekend of March 15-16, 2008. At first blush, one might think that Bernanke is attempting to protect the image of the Chairman of the Federal Reserve Board of Governors as independent of any political influence or business lobbying. But the mystery of these redactions is deepened by the fact that Bernanke has no problem listing meetings with President Obama, specific members of Congress, representatives of the Bank of England, every major CEO of a Wall Street firm, titans of industry like the heads of Ford Motor, IBM, and British Petroleum, quasi lobbyists like the U.S. Chamber of Commerce. Even the Reverend Jesse Jackson of RainbowPUSH Coalition is listed as meeting with Bernanke. So just who is left whose identify needs to be secreted away for more than five years? One meeting on Tuesday, September 25, 2007 is so secret that both the meeting participant(s) and the location are redacted. A careful study of where the most heavy concentration of redactions occur suggests two things: (1) Bernanke does not want the public to know that the Fed knew that Citigroup was in severe crisis months before the public became aware and (2) the Fed Chair’s participation in efforts to save Bear Stearns from a bankruptcy filing was more involved than presently known. But on-the-record calls and meetings between Bernanke and Citigroup officials are scant between its obvious cries for help in August of 2007 and its massive bailout in the fall of 2008, suggesting strongly that many of these redacted meetings occurred with Citigroup executives and personnel. Then there is the matter of the bank run on Bear Stearns beginning on Monday, March 10, 2008. News and book accounts have put Tim Geithner, President of the New York Fed at the time, as the point man at the Fed during this period of crisis. But Bernanke’s appointment calendar suggests two things: (1) that the depth of the crisis began on Friday, March 7, 2008 and (2) that Bernanke played a far greater role than previously known. Bernanke’s calendar for March 7, 2008 shows a full day of appointments blacked out. On Saturday, March 8, Bernanke has an anonymous conference call with unnamed parties. At 11 a.m. the following Monday, March 10, he has a redacted meeting in his office from 11 a.m. to 12 noon. At 2:30 p.m. Bernanke has an unprecedented meeting with Walter Lukken, the Acting Chairman of the Commodity Futures Trading Commission, its Chief of Staff, three of its attorneys, its Director of Market Oversight and the Deputy Director for Market Surveillance. We’re going to theorize that this meeting might have had something to do with shorting, and potentially naked shorting in the futures market. But Bernanke did not, according to the record, take any of his Fed experts with him. His calendar shows that he went alone to the CFTC offices at Three Lafayette Center in Washington, D.C. This meeting was followed by a secret meeting from 5 to 6 p.m. in Bernanke’s office with unnamed parties. Beginning at 7:15 p.m. that evening, Bernanke held a 90-minute videoconference with unnamed parties. The next day, Tuesday, March 11, Bernanke traveled to New York to meet with an interesting assortment of Wall Street CEOs and hedge fund honchos in the dining room at the New York Fed. Robert Rubin of Citigroup was there as was Lloyd Blankfein of Goldman Sachs, Jamie Dimon of JPMorgan, John Thain of Merrill Lynch and James Gorman of Morgan Stanley. Staff of the New York Fed attended, including Tim Geithner. Noticeably absent from the confab was any representative from Bear Stearns. By Thursday, March 13, as a full blown run on the liquidity of Bear Stearns took place, there is a 6 inch long black box redaction of everyone the Fed Chairman spoke to or met with from 4:30 p.m. that day. What we do know is that sometime between Thursday evening and Friday morning, the Fed and JPMorgan hatched a plan to inject liquidity backstopped by the Fed into Bear Stearns. An announcement of the plan to the press early Friday morning was meant to stabilize things. Instead, the stock of Bear Stearns dropped 46 percent that day. By Sunday night, JPMorgan had agreed to take over Bear Stearns with billions in backstop guarantees from the Fed. Bernanke is now said to be auctioning off his memoirs using the same Washington attorney, Robert Barnett, who landed an $8 million deal for former Fed Chairman Alan Greenspan. These 84 secret meetings may boost that price. Unfortunately for the American people, what men on the payroll of the U.S. government, earning $199,700 a year and a pension, do during their workday is apparently off limits to public scrutiny.